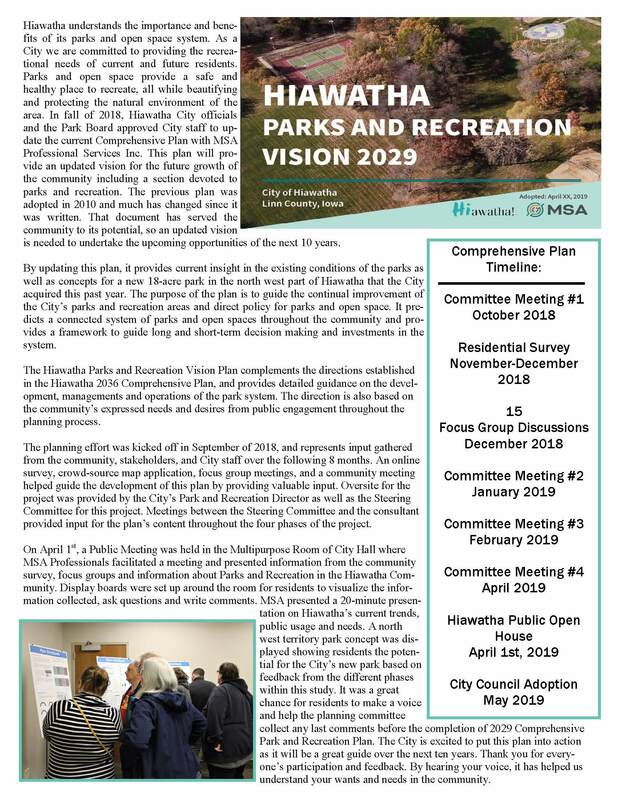 The Parks and Recreation Department has been working hard to get their Comprehensive Plan updated! Thank you to everyone that filled out the Community Survey and attended the Public Open House on Monday, April 1st. Your voice will help us better understand your wants and needs in our community over the next ten years! Next Post: Dog Park Coming to Hiawatha!